George Catlett Marshall was born in Uniontown, Pennsylvania on December 31, 1880. He attended the Virginia Military Institute and graduated in 1901. In February of 1902 he entered the United States Army, and served as an officer in various capacities before, during, and after World War I. 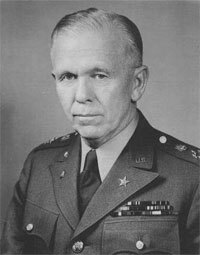 He was appointed the chief of staff of the Army in 1939 by President Roosevelt, and was instrumental in preparing America for war. Marshall was promoted to General of the Army in December of 1944. Marshall retired in 1945, but was later appointed as secretary of state in 1947. It was at this time that Marshall proposed a program, the Marshall Plan, which was designed to rebuild Europe following the devastation that it had suffered during World War II. In 1947 Time magazine named Marshall their Man of the Year, as they had done previously in 1943. In 1949 he left the State Department because of health issues, and was later named the president of the American Red Cross. In 1951, during the Korean War, Marshall held the position of secretary of defense for one year. In 1953 he was awarded the Nobel Peace Prize for The Marshall Plan. Marshall died on October 16, 1959 and was buried in Arlingon National Cemetery. 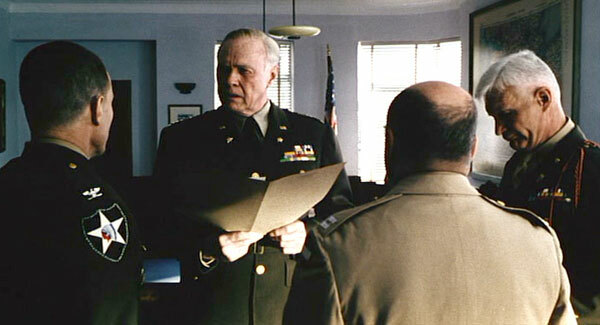 In Saving Private Ryan General Marshall (Harve Presnell) is approached by two War Department colonels and informed of the deaths of the Ryan brothers, and of the lone surviving brother in the 101st Airborne Division. 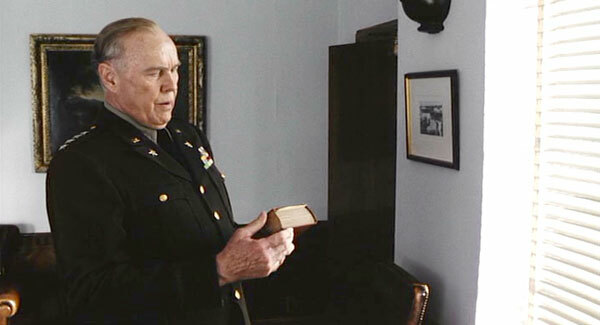 Marshall reads a letter that had been sent to Lydia Bixby by President Lincoln concerning the loss of her sons during war, and orders that Private Ryan be found and returned home. 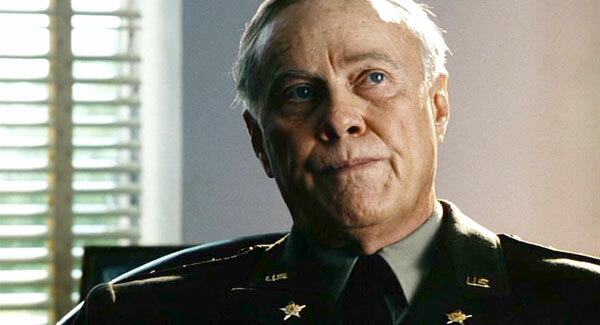 Although it is highly unlikely that a high-ranking officer such as Marshall would order such a risky mission to save only one man, a movie such as Saving Private Ryan allows for the exploration of just such an idea. 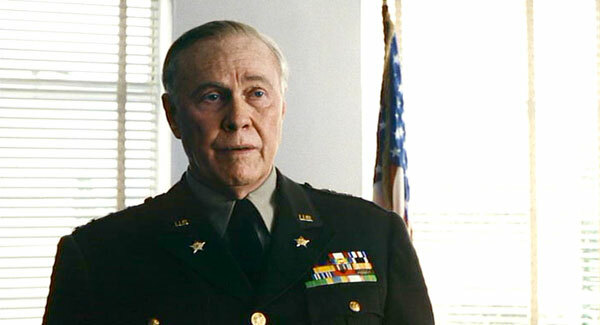 General Marshall is the only real person to be portrayed by an actor in the film. All other characters that appear are either completely fictional or loosely based on actual people.